My name is Jabon and I am a wilderness explorer and photographer now living in the Phoenix area. I have spent my entire life exploring. Starting as a child camping with my family in the Santa Cruz Mountains of California, I later relocated to Colorado Springs. Colorado is filled with epic adventures and I quickly got hooked on climbing 14’ers (14,000 foot tall plus mountains). I was deeply bitten by the summit bug and have climbed the highest mountains in Colorado, California, and Arizona. Now living in the warm desert of southern Arizona, I have discovered the mystique of Indian Ruins and petroglyphs left behind by the native tribes of the Hohokahm, Salado, and Sinagua to name a few. 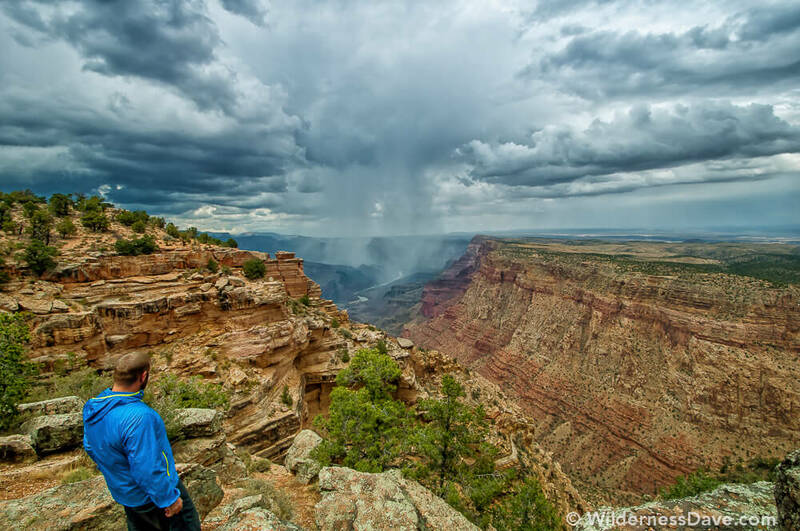 I spend hours investigating images and leads to hidden gems of the southwest then plan excursions in to the wilderness to find them. While in Colorado I worked as a fireman and assisted in search and rescue cases. I also worked a few major wild land fires including the biggest in Colorado’s history. I relied heavily on very diverse and specialized equipment to perform my job with confidence and to explore in comfort. 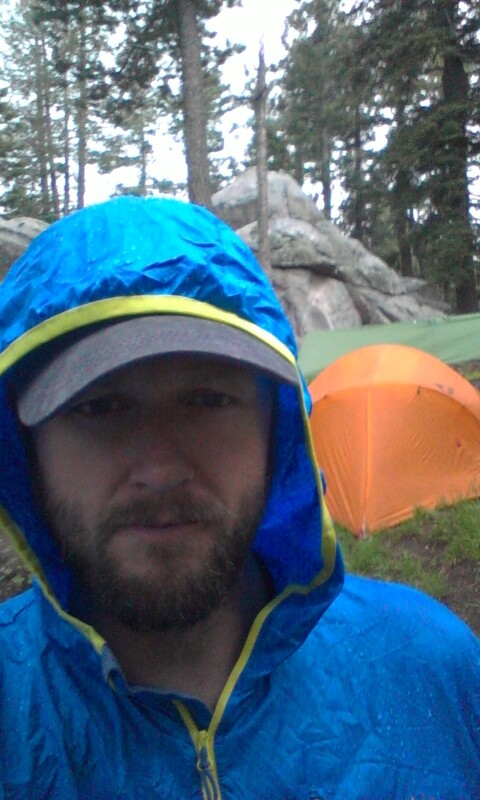 Having used a wide array of outdoor gear, I have learned to become especially critical of my choices before each purchase. This is what led me to the Italian footwear company, Zamberlan. The first premium hiking boot I ever purchased was a pair of leather Zamberlan boots. 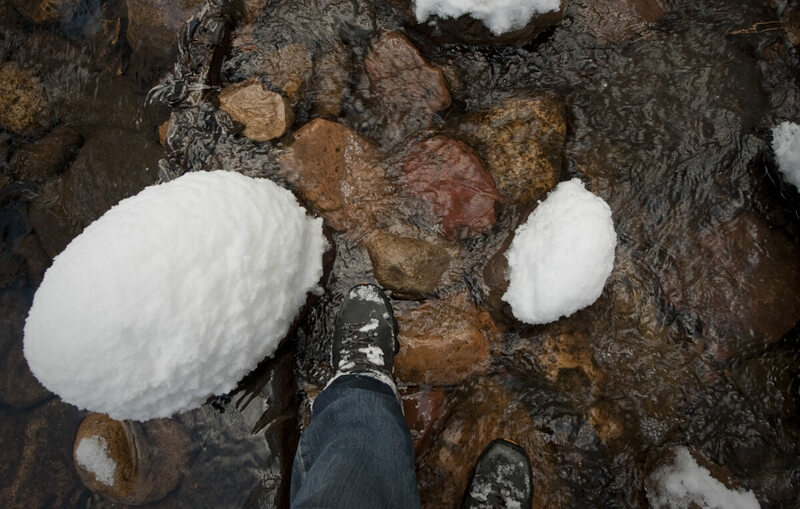 I had previously avoided slushy spring time hiking to avoid inevitably cold, soggy boots. When I was ready to make my purchase, I walked into a local sporting goods store in Colorado Springs and reached to the top shelf for a rugged looking boot named Zamberlan Civetta. This began my love affair with Zamberlan boots. 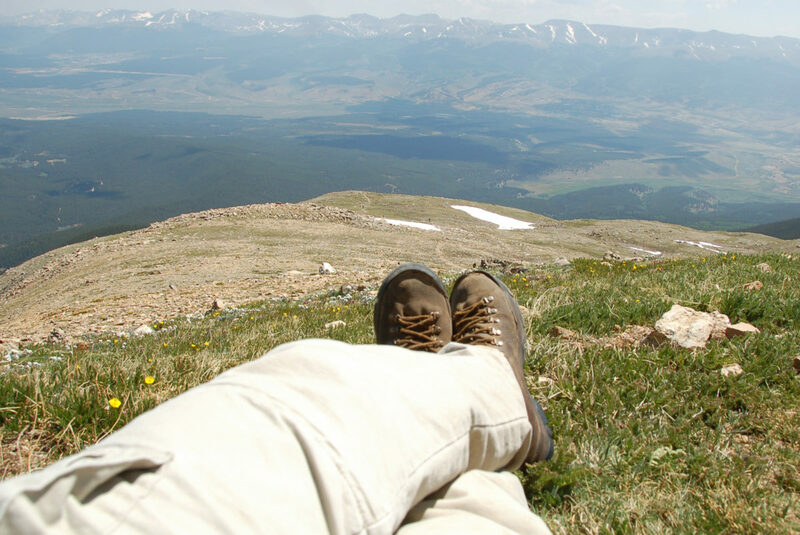 Over the next ten years, climbing and hiking more than 1000 miles in the Colorado Rockies, these boots always did what I pushed them to do allowing me to focus on the trip and destination. This suddenly changed when I realized I had worn my boots out! The Vibram lugs were worn smooth. The leather uppers, which I had religiously waterproofed every season, had become paper thin from countless scuffs and abrasions. I was in denial and tried to keep these old boots alive with glue but they had finally succumbed to the abuse. I then began the quest to replace my favorite boots and was impressed with the new features and advances Zamberlan had made. There are many new models to suit any footwear need. I laid my eyes on the Vioz GT and read through the specs. The Zamberlan Vioz GT represents cutting edge technology carefully crafted with age old techniques dating back to just after World War I. Giuseppe Zamberlan began shoe production in 1929 after a short time as a shoe repairman and the design and manufacture of these products reflects his love of the mountains. Zamberlan was an early adopter of Vibram soles for his footwear and these technologies come together with time tested synergy. The full grain leather upper treated with HydroBloc and the Gore-Tex lining make these a truly waterproof boot. True to form, my second pair of Zamberlan boots has carried me to high mountain peaks and scrambled down red sandstone to splash in the rivers bellow. The Zamberlan Vioz GT’s are equipped with the toothy Zamberlan Vibram 3D soles which are made of a softer rubber than the old style Vibram sole, therefore they grip with more assurance. These new soles bite into any surface allowing me to climb virtually anything that stands in my way, fulfilling my childhood comic book superhero fantasies. Each and every Zamberlan product is made entirely in Italy and are designed and tested by the Zamberlan family. The modern technology such as Gore-tex membranes, Hydrobloc leathers, and Vibram 3D rubber soles are on the long list of features Zamberlan incorporates in their footwear. User comfort is ensured by minimal torsional flex and a solid heel cup. This is noticeable when walking on grapefruit sized rocks as the stability of the boot reduces stress on the ankle. I have found the factory laces have to be double knotted or they loosen up. However when replaced with a simple flat lace, they stopped creeping on me. Even after 14 hours of pounding feet along a trail, these comfortable boots are the last thing I take off before zipping up the sleeping bag. 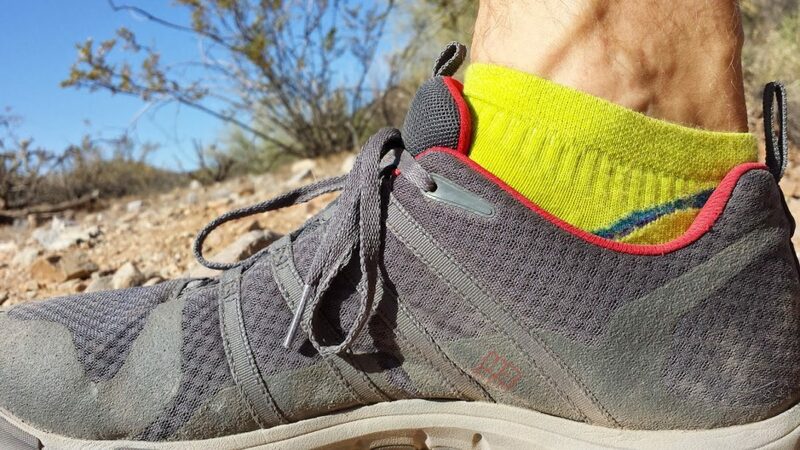 I have now owned the Vioz GT for 3 years and have worn them in 115 degree desert heat, summited Arizona’s Humphrey’s Peak in the rain, and hiked in cold, snowy canyons all in perfect comfort. Every time I lace up my Zamberlan boots and point them towards the next adventure, I can’t help but feel a bit nostalgic, walking on more than 80 years of Italian tradition and quality. I am truly blessed to have you in my life. Since the day we met, you’ve been by my side…through thick and thin, through simmering heat and aching cold. You’ve always provided comfort, even when comfort was impossible to find. I have forsaken all others for you alone. 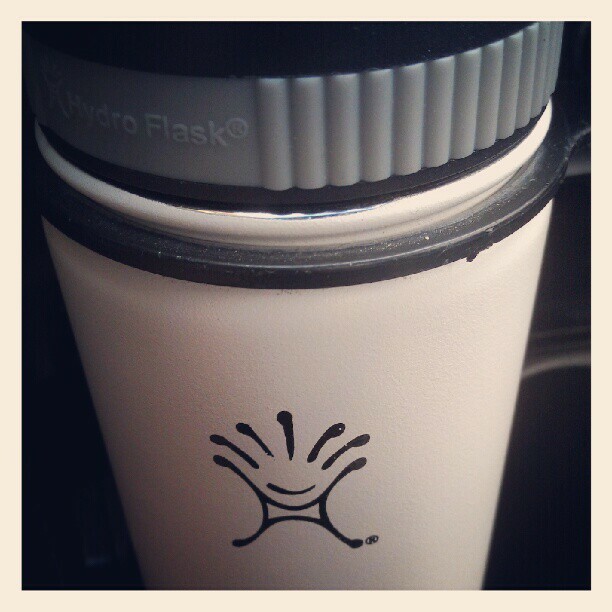 I was first introduced to Hydroflask in May 2012, at the Overland Expo near Mormon Lake outside Flagstaff. The guys from Overland Gourmet had a pile of Hydroflasks for sale at their table and on the last day I decided I would try one out. So I picked out my favorite: a small 18oz wide-mouth in Arctic White. 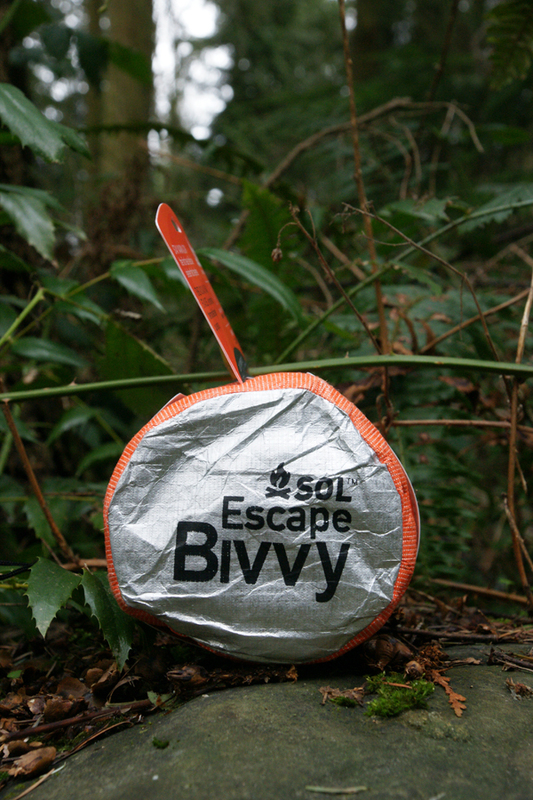 The size was perfect for sliding in to the side-pocket of my pack and easily fit in to any cup holder. Without ice at camp, it wasn’t until I got back to Phoenix that the love-affair began. May in Phoenix is pretty warm, but really just the beginning of the slow, miserable death-march of an Arizona Summer. As the average highs quickly soared above 100 degrees, then above 110 degrees, my little 18oz miracle began showing off. I think the moment I was sold on these little technological wonders was after an especially long afternoon meeting. I had packed up and headed out, Hydroflask in tow as usual. The bottle had a half-dozen or so ice-cubes and the rest was filled with room temperature water. My expectation was simply to have cold water on the way to the meeting and I would get more after. I drove out to the job site, offering no shade to park under, and left my truck sitting in 115 degree heat. The meeting ended up lasting over 3 hours (way longer than I like my meetings to last). When I got back to my truck I could barely stand to be inside of it as I fired it up and cranked the AC to high. Not expecting it to be drinkable, but needing something after the marathon meeting, I picked up the Hydroflask and heard the tell-tail sounds of ice clinking against the metal interior! No way! I unscrewed the lid and there it was, waiting for me…icy refreshment. After more than 4 hours in a vehicle that surely reached temps well above 140 degrees I still had ice. Since then, I’ve learned to rely on it. I’ve left it in the truck for up to 6 hours of brutal Summer punishment and still found icy goodness. I’ve left it full for 24 hours in 100 degree (daytime) heat and still had ice. I’ve read some reviews where testers have left the Hydroflask bottles for 3 days in near 90 degree weather and still found slivers of ice in the bottle. This thing performs above and beyond expectations every time. The only problem I have had with it is mainly a result of the amount of use and abuse I put mine through. After about 4 months of daily use, the strap that connects the lid to the bottle broke. I’ll eventually order another one (or maybe Hydroflask will send me one) and that problem will be solved. Otherwise, Hydroflask is a Rock Star product. WildernessDave.com has reached a few milestones recently and it’s all because of you guys, my loyal readers (which, thankfully, has grown beyond my mom). We all know it’s not about “fans and followers” but I do appreciate that you guys take the time to LIKE my FB page and follow my ramblings on Twitter. I’ve done some giveaways here and there, mostly with products donated for reviews. But this time it’s special. Hydroflask really is my go-to, everyday, never-leaves-my-side gear and I want you guys to have a chance to own one. So, I reached out to Hydroflask and asked if they would be willing to offer up something for you guys. And they said yes! So someone will be winning their choice of two (2) 21 ounce standard mouth bottles (you pick the color) courtesy of Hydroflask. THEN…I will pick TWO MORE WINNERS and each of them will get a brand new 18 ounce wide mouth bottle (I have one in black with the hydro-flip lid and one in red with the standard wide-mouth lid). Get your entries in below. I’ll make it super easy, just be a FB fan or Twitter follower and/or comment on this post below. Make sure you confirm your entries in the Rafflecopter widget so they get counted. And if you follow my posts on G+, just leave a comment letting me know (and give it a +1 while you’re at it!). The Hydration Summit was a month long content explosion about hydration, hydration systems as well as the dangers of dehydration and untreated water. Much of the Summit revolved around the major hydration systems on the market including GeigerRig, CamelBak, Platypus and Osprey (and a few more were mentioned as well). 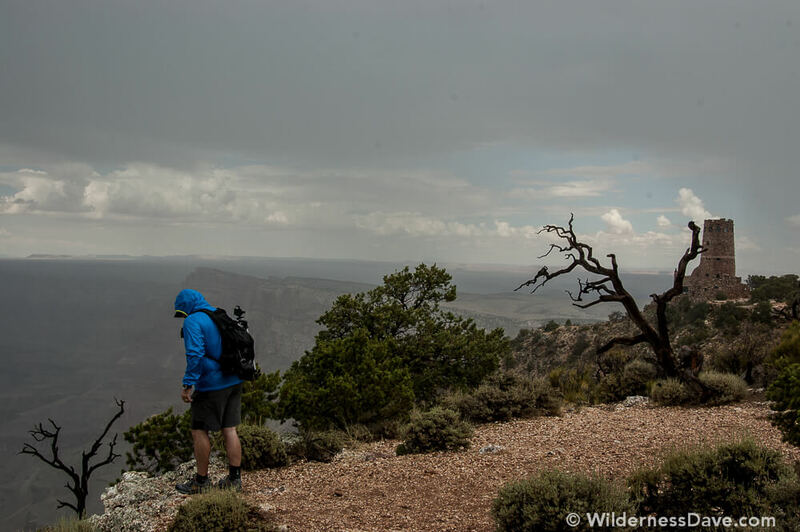 We had 15 popular outdoor bloggers sharing their expertise and experience as it relates to hydration in the outdoors. The result of this grand experiment was an amazing collection of stories, reviews and instructional articles that all of us who spend time in the backcountry would find useful. For my part, I contributed 3 total articles: A four system comparison of hydration reservoirs, a treatise on the signs and symptoms of waterborne illness and how to treat it, and a product review of the PurifiCup water filter. The reservoir comparison review required that I actually have all four of the systems I was to review (clearly). I had all but the Platypus, so I purchased the Platypus for the review. The Platypus reservoir is a top-opening design with a Zip-Loc style closure. The reservoir is clear and has measurement markings along the side to allow you to gauge the fill capacity. The drink tube is connected with a quick-coupling valve, the same valve used by all of the other major brands (which subsequently allows you to swap tubes if you prefer the drink tube and bite valve from another brand). The top-opening design, we all determined, was the easiest for filling and cleaning the reservoirs. I did not use the nozzle (bite valve) but I have heard from others that it is their favorite and one of the easiest to drink from. For more info on the nozzle, check out Paul’s article here. This specific Platypus was the 70 oz (2.0 L) Big Zip SL Reservoir. It retails for about $33. Since I have many (MANY) more reservoirs that I could ever need, I am going to give this one away! I will be giving this away with all the original packaging. The reservoir is USED as it has had water in it and has gone through some very mild abuse in testing it’s durability and functionality for the review. The drink tube and nozzle has never even been attached to the reservoir (I removed it as soon as I brought it home). I will ship the reservoir as soon as I confirm the winner. Please use the Rafflecopter widget below to enter. THANKS! If you haven’t heard of GearPods, you’re not alone. They’re a relative newcomer to the outdoor/survival gear markets. The company was established in 2008 in Polson, Montana and launched it’s Adventure Series Kits and Connect System in late 2009. For those of you not familiar with the product, the GearPods Connect System is a semi-lightweight, modular gear storage system comprised of different sized, durable plastic tubes than can be connected in a chain (or used separate) to organize your gear. With 4 different tube lengths and 7 different colored lids, it is a very versatile and easy to organize storage system. Using the modular Connect System, the GearPods Individual Kits are pre-loaded with the kind of emergency and survival gear that these containers are suited for. Individual kits include the Stove system, Shelter, Health and others. 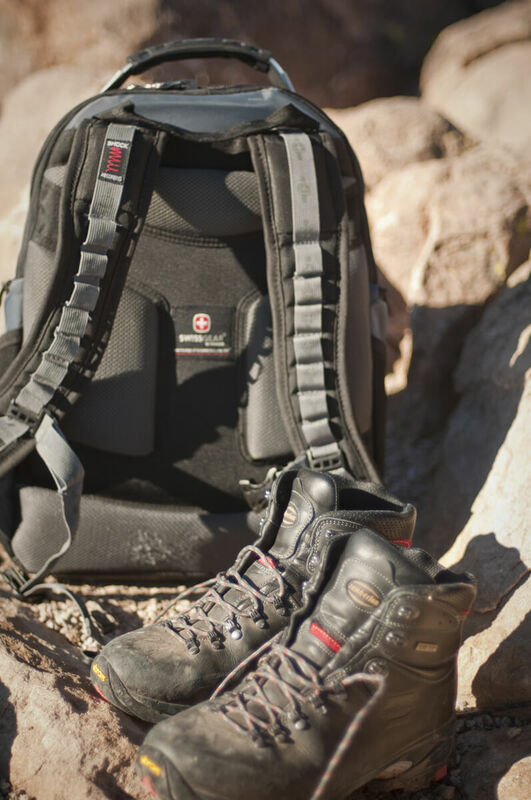 GearPods goes one step further and offers Multi-Kit Systems combining essential Individual Kits into “integrated Adventure Systems” like the Backcountry Kit in this review. Their Multi-Kit Systems range from $75 to $250 and offer everything from basic emergency shelter to full-scale rescue and survival systems. GearPods Health: Compact but comprehensive first aid kit for treating minor wounds and injuries. GearPods Survival Pro: Range of survival tools for starting a fire, navigating, signaling, purifying water, fishing, and repairing clothes or gear. Includes the GearPods Stove, GearPods CookMug (with snap-in lid), GearPods Windshield and solid fuel tablets for boiling water and cooking. The Health Pod is a basic emergency first-aid kit including all the necessary items to treat most common injuries or ailments on or off the trail. I was pretty impressed with how complete the first-aid kit is with one-time-use packages of everything from sun screen to sting-relief to burn ointment and a huge variety of bandages. This kit alone is a very useful and essential part any emergency kit. The GearPods Survival pro is a combination survival kit and cooking system (mainly for boiling water). The kit includes an incredible assortment of survival gear including an ultra-light blade and saw, emergency fishing kit, multiple firestarters and tender, a tiny LED flashlight, signal mirror and weather-proof writing pad (see pics below). With the addition of the small, lightweight, ingenious little stove and cook-pot I couldn’t think of a single thing lacking from this survival kit. Unpacking the kits for the photos above I was immediately impressed with how much gear is actually crammed in to these Pods. In fact, there seems to be room for a few more items if you have some specific personal item that you’d want to add (or beef up the medical kit with extra bandages). My initial thought was, “I want one of these things everywhere! I’d keep one in the house, one in the truck and have one handy for backpacking trips (at least the medical kit)”. The size is perfect for stashing just about anywhere and the fact that everything is stored in these durable, water-proof tubes makes them perfect for a variety of different conditions. I do believe that they are a little bulky for backpacking, especially if you travel light. But they do pack easily if you don’t mind the weight. 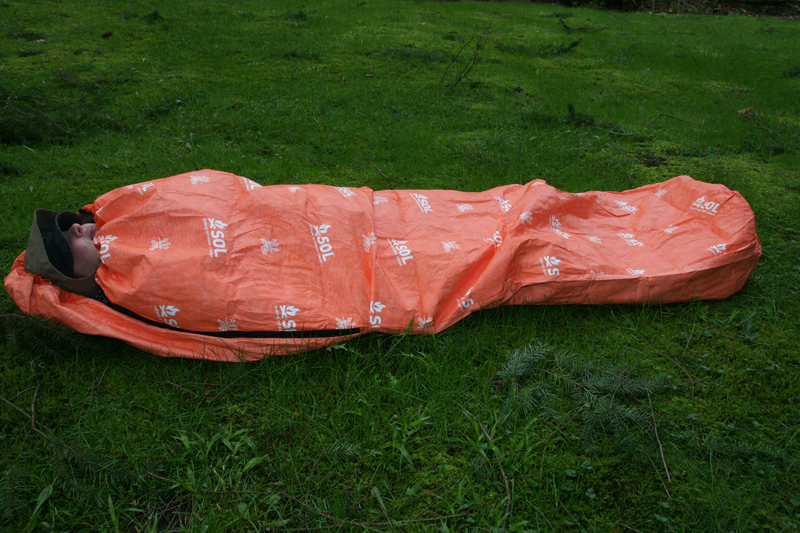 When I took mine out on the trail I initially stuffed it into one of the side pockets of my pack, and on the return I rolled it up with my sleeping pad and strapped it to the bottom of my pack. I brought the Backcountry Kit with me to camp overnight at Lake Pleasant. I had a couple of goals in mind. One, I wanted to test the cooking system and see how easy it is to set up and take down as well as test how effective it is at boiling water. Second, I wanted to test the firestarters. To me, those are the most important aspects to a survival kit (fire and water). The fuel tabs worked well once I got them lit (it was suggested that breaking apart the fuel tab would make lighting them easier). It took nearly a full single fuel tab to heat 9-11oz to boiling. The cup is still very hot to the touch even with the fabric strip around the top. The snap on lid worked well and would make for a nice drinking cup if you wanted to make tea, coffee or broth directly in the cup itself. The cooking system was very easy to set up and take down and was very lightweight. As an emergency stove or backup, it’s perfect. I would even consider it as my primary stove on short trips. Getting fire started was a snap, the Tender-Quick lit without issue and allowed me to get my fire bundle going easily. I will admit, in putting the kit back together in the tubes, I did have some trouble getting everything to fit just right. I had to unpack and repack it several times to get the Pod lids to screw back on properly. This, more than likely, is entirely a user generated problem. It clearly fit just fine when I got it. There is little room for error in the Survival Pro kit though, so pay attention when unpacking it so you can insure that it gets repacked properly. If the fit is off or you can’t get the lids screwed on right, the Pods are no longer going to keep out water. When everything is put together properly and the lids are screwed on tight, the Pods feel indestructible. I felt comfortable tossing the Pod around camp, leaving it out overnight, tripping over it and kicking it out of the way without ever worrying about the contents. I submerged it at one point in the lake without leaks and had to force it below water verifying that it would float if dropped out of a boat. This made me think it might be useful to store electronics on boating trips. The Pods are big enough inside to store a cell phone (even my massive HTC Thunderbolt 4G WITH a case on it fit inside the tube), batteries, cables, etc. In the morning I played around with making a make-shift fishing pole. Using the line, hooks and sinkers provided in the kit along with a float I found on the beach, I tried my hand at fishing. The system worked, even if I wasn’t able to land any fish. All in all, I was very impressed with the Backcountry Kit. 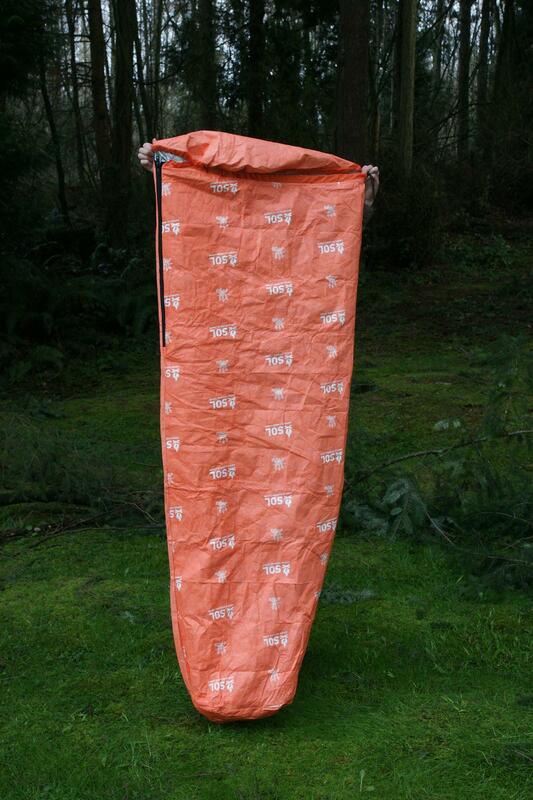 It has nearly everything you would need for most any survival situation or backcountry emergency. I would put serious thought in to adding the Shelter Kit to make this a perfect, all-around survival system (the GearPods Wilderness Kit includes the shelter kit). If you spend much time on back roads, or live in areas where the weather can turn bad and leave you stranded I would definitely get one of these for your vehicle. They would also make an indispensably addition to your camping, boating or off-roading gear. Or use the Pods to make your own kit, keeping everything safe, dry and organized! I am considering getting a Pod to make in to a small tackle-box for creek trips. As mentioned above, the Backcountry Kit was provided to me from GearPods at no cost in order for me to review the product. My opinions are my own and are in no way influenced by the company providing the gear. I have tested the gear under my own standards and offered my free and unbiased opinion based on my own personal experience. As most of you who read this blog know, I travel often. My fiance and I currently live in different cities and I find myself getting on a plane at least once a month. Originally, I traveled with an old roller bag but it was too big to use as carry-on. I then borrowed a smaller roller bag for a couple of trips but it just didn’t hold enough for a week-long trip. I also HATE roller bags. I can’t stand using them. I do, however, love a good duffel. I am also big fan multi-use items. So when I started looking for a duffel for my trips, I wanted something that could be used camping, road-tripping, or as a gym bag in addition to air travel. 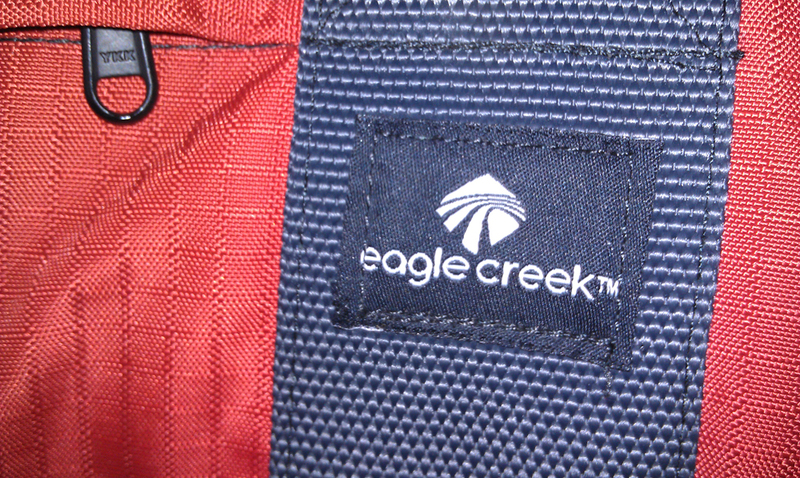 We found the Eagle Creek No Matter What Duffel bags at the local REI and really liked them. The price was pretty good ($75) and it’s lightweight (1lb 12oz) and compactable. I found that the Medium size was plenty big and actually carried more than my larger, heavier roller bag (59L/3600 cu. in. capacity). I’ve taken it camping and tossed it in the truck for road trips with no worries. The baggage handlers at the airport would really have to work hard to damage the heavy-duty 420D Helix Ripstop fabric. I use this bag all the time and I love it. I have packed everything I need for a two-week trip in this bag without too much trouble. Sometimes I have to strap my jacket to the outside under the compression straps, but otherwise everything I need fits and it’s the perfect size for easy carry. 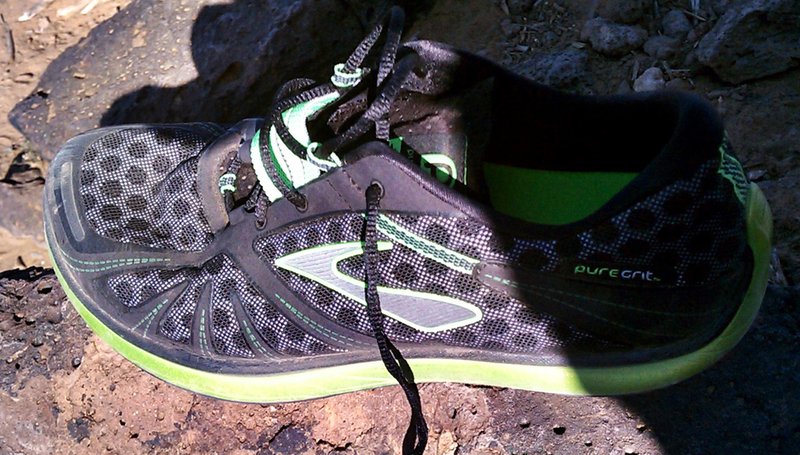 When I got my PureGrit Trail Runners I started a 3-part review of the shoes. In Part 1, I laid out the specs and tech on the shoes and my out-of-box impressions. For this part, I will describe the time, distance and conditions I’ve worn and tested the shoes along with some basic reactions to the performance. I will write a more in-depth analysis of the performance of the shoe in Part 3. These shoes were purchased specifically with trail running in mind. I really like my Brooks Cascadia trail shoes and I was using them for both hiking, trail running and occasionally street running. I wanted something lighter and more specifically design with trail running in mind. When Brooks came out with their PureProject line I was very excited to get my hands on the PureGrit and get more serious about trail running. Since I got the shoe’s in late January, I have put over 30 miles of trail running on them. I also started using them for my street runs to see if I could tell if there was a performance difference on pavement (also, I was growing to like them and wanted to wear them more). 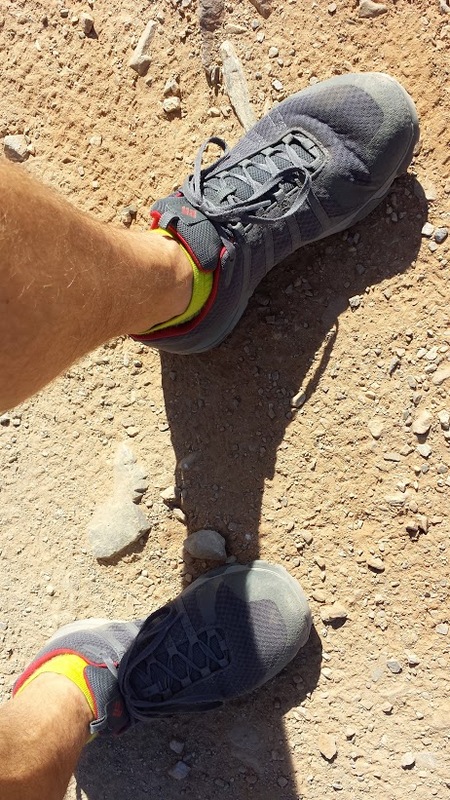 The trails out here in Arizona are very hard on footwear. 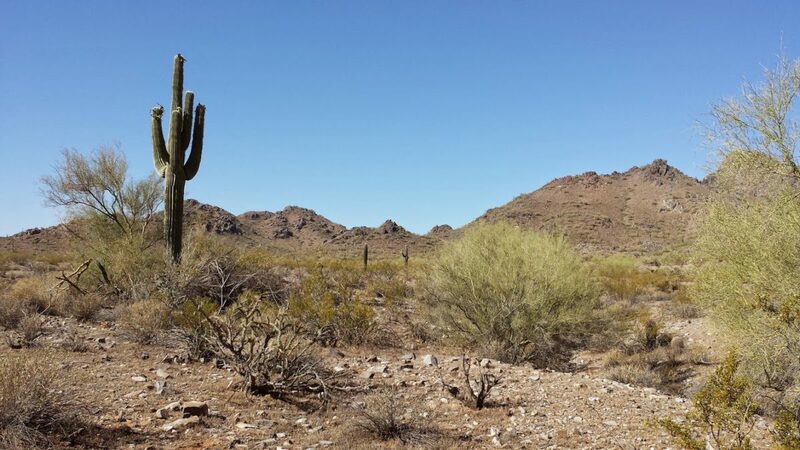 The Sonoran Desert is littered with jagged, rough terrain and mean, prickly cacti that usually equates to a short life for shoes. 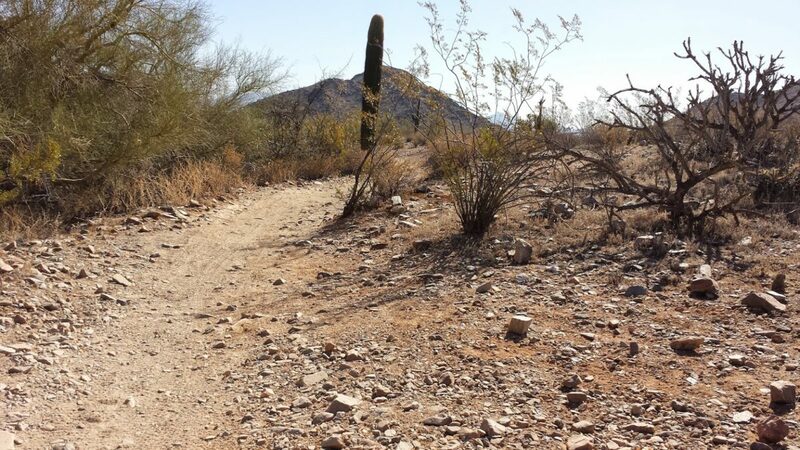 The main trails I’ve been running are the Main Loop at Thunderbird Recreation Area (3.6m loop) and the trail system behind North Mountain (Shaw Butte and Trail 100). The terrain in both locations is a combination of loose rock, rugged exposed bedrock and sandy washes. The PureGrit outsole has proven to be incredibly tough against these conditions. It’s thin, so you can still feel the ground even through the padded mid-sole but I like to have a sense of what’s under me when I’m running. The unique tread design on the PureGrit is amazingly functional. It really grabs the trail for traction when pushing forward or climbing uphill. The impressive part was how effective the reverse tread at the heal of the shoe allows control on the downhill. I have never once felt as though my footing was compromised in these shoes. The durability of the outsole is also commendable. With over 60 miles on varying terrain, I have seen no real wear and barely any scuffing of the tread. The open tread design also means it doesn’t pick up small pebbles and rock as you run. The outsole design has two specific features that are part of what makes these shoes unique. According to Brooks, the Toe Flex (a split in the outsole to isolate the movement of the big toe) and the Ideal Heel (designed to shift your stride forward) are key features of the PureGrit that allow for greater stability, control and better form. I really have not noticed much benefit from the Toe Flex feature. I’ve even been wearing toesocks with my PureGrit runners in the hopes that it would allow me to feel more of the intended effect of the Toe Flex feature, but I don’t notice it. The Ideal Heel design, however, does seem to have altered the mechanics of my stride. I do feel a difference when wearing these as compared to my other running shoes. The midsole was one of the pieces that worried me when I initially looked at these shoes. It’s soft, allowing for fantastic comfort, but I didn’t expect it to hold up to trail conditions all that well. Luckily, I underestimated the durability of the material. It’s got a couple of scratches and stains, but otherwise has held up perfectly and has yet to let me down. The main body of the shoe is so super light-weight that I expected to have some problems with it. I had a pair of Nike running shoes a few years ago with an ultra-light material upper and it began to fall apart after only a few runs. 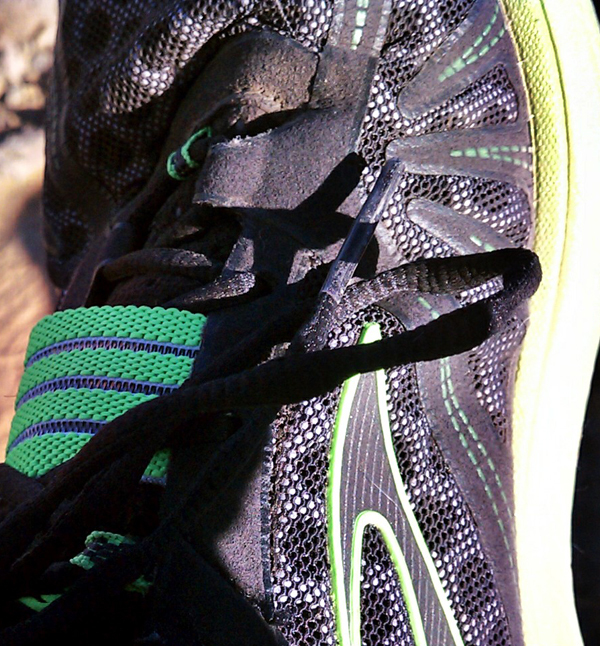 The upper of the PureProject shoes is remarkably resilient. It conforms to my foot amazingly well and yet, somehow has really done well against the elements. The outer material is a mesh, which I feared would let dust and fine sand in to the shoe and create problems in the footbed during runs. Even running on very dusty trails and through sandy washes, I did not have any issues with small particles finding their way in to the shoe. The cut of the upper is very low, offering no protection or support for your ankles. On a trail shoe, this can be a little dangerous. However, I have never felt unstable or uncomfortable running in these. Other than my ankles feeling sore and fatigued afterward (something I attribute to my running mechanics rather than the shoe), I really have not had any trouble due to the lack of ankle support.